Human Resource practitioners should focus on the character of individuals rather than their per­sonal appearances. These were the sentiments made by Fiji Human Resources Institute member Viliame Waqalaivi, dur­ing the FHRI Seven Habit two-day workshop at the Holiday Inn, Suva, yesterday. Mr Waqalaivi said personality and character are two areas that need differentiating in the HR field. 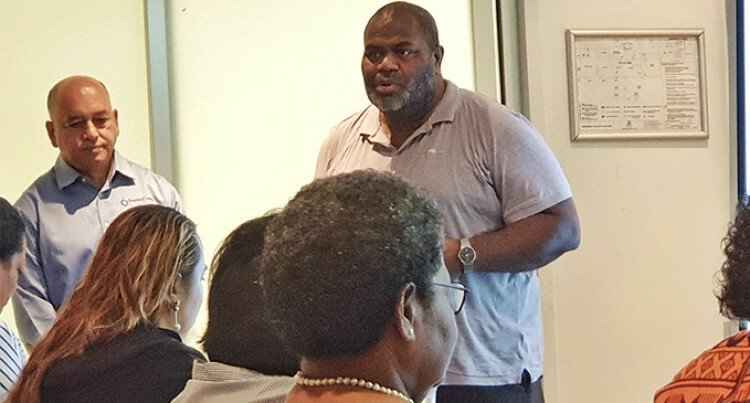 “People have been more focused of personal appearances; the focus has to be about the character and the kind of people we want in our work force in Fiji,” Mr Waqalaivi said. Mr Waqalaivi said this training programme has provided value to their members and help raise the capacity as HR officers. He added being part of this inter­nationally recognised curriculum indicates the kind of quality that their members are being exposed to. Franklin Covey Executive direc­tor, Ashoka Gore, said effectiveness was getting the results that one wants today and getting a better re­sult tomorrow. Mr Gore said the main focus was change the mindset of people in Fiji so they were aware that they could be whatever they wanted to be. 31 Human Resource officers from various business houses were part of the workshop.